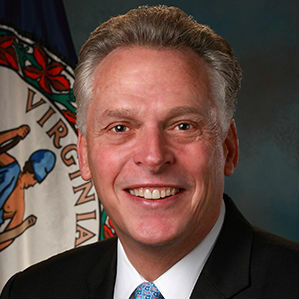 Governor Terry McAuliffe announced today a series of legislative proposals aimed at improving public schools, enhancing the workforce system, and preparing the students of the Commonwealth to be successful members of the new Virginia economy. The Governor’s announcement comes the day before the convening of the 2016 General Assembly. Requires the Board of Education to establish new expectations for high school graduates and changes the way credits are earned for graduation. Puts a greater emphasis on hands-on learning, early college courses and industry credentials while maintaining rigorous standards. Enables schools to hire current and retired industry experts as temporary or part-time career and technical education teachers. Will help to fill empty teaching positions while giving students the unique opportunity to gain critical CTE training from skilled professionals in high-demand industries. Enables students to receive academic credit for previously-earned industry certifications when pursuing a community college degree. Allows community college students to build on prior experience instead of having to repeat coursework. Require the development of a plan and a funding formula to support the $24.6 million budget proposal to increase the number of high-demand workforce credentials awarded each year. Provides for progress reports to ensure the goals are being met. Ensures that state-supported industry certifications and licenses are aligned with business and industry needs so that more Virginians can access well-paying jobs. Virginia Guaranteed Assistance Program will provide enhanced awards for students enrolled in at least 30 credit hours of coursework over the course of the year, including summers. Extends eligibility for financial aid to young people who are not defined as dependents, such as foster children and homeless youth. Incentivizes students to complete more credits over the course of a year and increases their chances of on-time graduation. Establishes a pilot project through the Department of Veterans Services that will enable former military medics and corpsmen to use their skills in health care careers while earning civilian credentials.